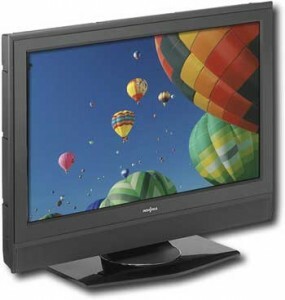 Insignia has produced TV’s for years now and their HDTV’s are among some of the lowest priced options available. Their plasma HDTV line is featured at Best Buy and is attracting many shoppers because of the low, low prices and sharp looking TV’s. Continue reading to see our Insignia reviews to learn more about the brand as a whole but also see reviews for individual Insignia TV’s. Searching for a specific Coby TV review? If you’ve shopped at Best Buy, you’ve definitely come across the Insignia TV brand. Insignia is a Best Buy Exclusive Brand which means if you go to BestBuy.com or to a Best Buy store, they’ll likely be pushing Insignia HDTV’s. It is fairly common for these store brand type of TV’s to actually be manufactured by another company, however it isn’t quite clear who may be manufacturing Insignia HDTV’s at this point. The first thing you’ll probably notice is the low prices. Insignia is consistently one of the cheapest LCD, LED, or Plasma TV’s you can buy in their respective size ranges. However, cheap prices shouldn’t be the only factor you consider in your HDTV purchase. Insignia also sells other home audio and video products like home theater systems, Blu-ray players and other products. Insignia positions itself as a value-brand HDTV. In non-marketing language, it means that it is low-priced and directed at consumers that don’t have a ton of cash to spend. The design and picture quality of an Insignia TV won’t impress your friends and family but not everyone is looking to buy the best of breed HDTV anyway. Insignia TV’s appear to have a somewhat higher failure rate, specifically with the remote controls. Several users have noticed the Insignia remote controls lag when trying to change channels or perform other functions on the HDTV. If you end up using a remote from your cable/satellite provider or use a universal remote, this may not be an issue. Many reports show that the picture quality tends to fade and get worse over time. You may start to see lines or other picture defects over time. These are all things to consider and weight against your budget and how you expect to use the Insignia TV. As mentioned above, Insignia’s are one of the most competitively priced HDTV’s out there. But nobody wants to knowingly buy a dud if they think it is going to break in a year. If you’re shopping for a secondary TV, a kids room TV or if you’re just not a heavy TV-watcher and don’t need all the latest and greatest features, Insignia may be worth considering based on the price. However, if you are an average TV viewer and this will be used as your primary television, the value isn’t as great and you may want to consider stepping up to a more reputable and reliable brand. Our reviewers have never personally had to deal with Insignia’s customer service team. Being a Best Buy store brand, you may be able to get some assistance through Best Buy employees or the “Geek Squad” that is available from Best Buy for a fee. If you are worried about getting support after your puchase, we recommend calling in to their support line and seeing what kind of response you get. Make sure to note the wait times, the competency of the service rep you talk to and any other items that are important to you. Overall, it’s not secret that Insignia isn’t the #1 brand in the world when it comes to HDTV’s. 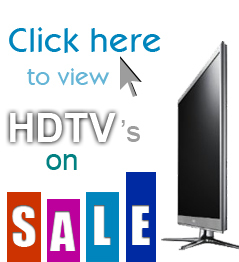 However, there are wide ranges of people looking for HDTV’s. If you’re looking for top tier TV’s, keep looking at other brands like Sony, Panasonic and others. However, if you’re looking for more of an entry-level HDTV that you can watch a few movies on and just lightly use, Insignia has some options that will meet your needs. However, it may be worth finding an extended warranty to ensure that if the Insignia TV fails within 5 years or so, you can get a replacement. Now, I wish I had a time machine and I could go back to that day. Cause I Had like $1200.00 to just blow on toys, and I spent like $400.00 of it on this piece. Here’s my story…I bought a 37″ LCD Insignia, it is “Okay” nothing super good about it at all really. Save for the fact it fit the hole in my entertainment center. They have a 2 year warranty on them. Guess what? Mine went out 2 months after the warranty was up…need I say more? > Purchased one of Best Buys LED LCD tvs, should have realized price was to good to be true. My 32 inch Walmart brand outlasts, out produces this set. Although the picture is good in the Best Buy brand the sound is trash. I called the store and even the store manager assured me that the sound issue could be corrected by switching the receiver mode. However, even after four visits from the cable supplier to my home to determine my service was fine this set does not produce surround sound, and yet the box specifically states true surround sound. Not the case, speakers are on the back of the set, unless you sit behind the set you are not getting true surround sound. There is a general lag when changing channels and turning the set on and off. BUY ANOTHER BRAND. Bought 19″ LCD19W-09 at costco. This tv has been very difficult to turn on. It will let out a squeak sound each time the attempt is made. It may take as many as twenty attempts to finally get it turned on. I called Insignia and explained the problem and they denied there ever has been a problem such as mine to have happened. Anybody out there have the same difficulty? Poor tv, picture and color are poor, SD reception is DREADFUL, blurry and no way to change the aspect to make it good. I bought this TV bsceuae I own the 42 version and love it. The 55 not so much. The artifacting and pixelation around graphics/text and sports was horrible to the point the TV lasted on my wall for 3 days. Blu-ray and some HD broadcasts looked great but a majority of television programming (AT T U-Verse via ethernet/HDMI) and DVDs on my blu-ray player (Samsung 3600 via HDMI) looked horrid. Ice hockey players’ legs would constantly flicker from the standard center-ice view. NFL and college ball had similar issues where the 50 yardline view resulted in flickering jerseys and a flashing football. I honestly never even used the set’s speakers as everything goes through my receiver. Anyone looking for a quality LED LCD should avoid this TV like the plague. I ended up spending another $400 on the LG 55LV5500 and love it. Two Insignia 39″ tv’s, two returns to BB. Same issue with both. After auto program, toggled thru the channels and remote stopped working after about a minute. Keypad in specific channel and sometimes got it, other specific channels keyed brought different channels on screen. Menu functions disappered from screen in mid use and remote no longer responded. Went to the TV and used the buttons on the side…..no response, hit/miss. Will the tv buttons change channels, turn on/off or bring the menus up. No! Something way behond just a bad remote control. Must be a bad batch. Model #NS-39L700A12 Build date March 2012. Bought a 47″ a little over 2 years ago and have the same issue. I try to turn the tv on and it clicks like it turns on but nothing happens. Called to see if Best Buy would help since it is their brand and they said the warranty expired 3 months ago and they have never heard of an issue like I am having but I seem to be finding a lot of reviews talking about the same problem. Maybe this is why they are going to go bankrupt in the next couple of years. We bought an insignia less than 1 month ago at Best Buy and it went out. We had the receipt but they still would not let us return it. They let us pick out a different one and tried to make us get another insignia, but my husband is smarter than that. The young girl at the counter had told us before we knew it that some else had returned the same tv with the same problem!!! Insignia TVs are garbage. A bar owner I know bought no fewer than 10 (!) of the 32″ models and ALL of them were junk within 4 years. Note: They all made it barely past warranty, and started going bad from 25 to 34 months after purchase. Interestingly, they all did the same thing: suddenly, no power/no picture but if you plug it in and get up real close you can hear them “click click click”ing. Do yourself a favor. Give your money to a bum, stab yourself in each leg with a steak knife, and forget about BB. They stink. I also purchased my Insignia at Best Buy. My problem is that several dark smudgey spots appear when the background screen is dark. When there is a bright background screen the dark spots disappear. As time passes (meaning in days/months) more smudgey spots appear. Can anyone tell me what this might be ??? ?